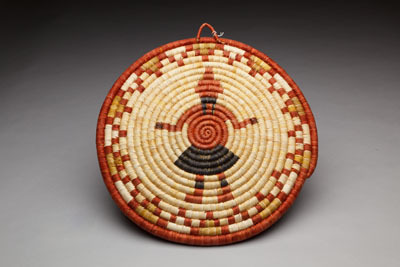 Insects, Reptiles, and Figures: Designs from Southwestern Basketry features traditional and current designs found on Native American baskets, such as rattlesnakes, turtles, spiders, butterflies, and Hopi kachinas. 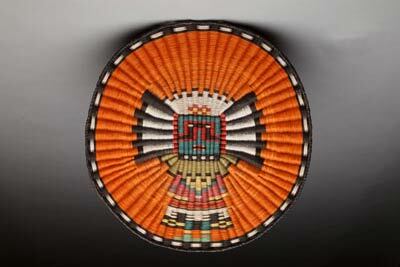 The exhibition is drawn from the University of Wyoming Art Museum collection. 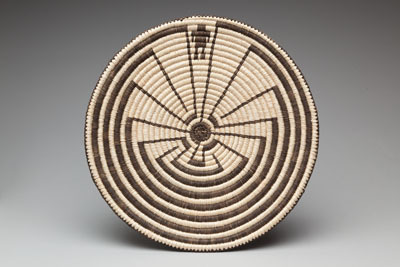 Made of sumac, yucca, or willow fibers, baskets from the American Southwest date from as early as 6,000 years ago. Originally made by the hunters and gatherers of the time, baskets served such utilitarian functions as storing and transporting food, and were often elaborately decorated with designs important to the tribal cultures. These traditions have evolved as the cultures themselves have, from the lifestyle changes of farming to contemporary life in which baskets and other items are made to sell.